Earlier this month, LCWA marked its 25th anniversary. One reason for our longevity? 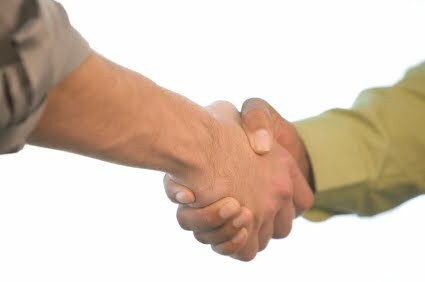 We strive to create partnerships with our clients. When that happens, nearly every public relations program succeeds. An equal partnership that fosters mutual trust, respect and creativity produces the best work. Under this arrangement, there is an absence of fear and intimidation. The agency can freely make recommendations and even take some risks, which often produce better results. Get immersed in and excited about the client’s business and products. Fully understand marketing messages, target audiences and the best communications methods to employ. Learn industry jargon and corporate idiosyncrasies. Inform the client of all activities – successes and failures, and be honest in evaluating results. Be proactive in bringing new ideas to the program. Act as good stewards of the client’s budget. Share information about marketing and other corporate goals, messages and target audiences. Involve the agency in communication planning. Invite the agency team to participate in sales meetings and attend industry trade shows. Provide ready access to top management and key staff. Have realistic expectations and set realistic deadlines. Treat agency people as part of the team. Yes, these guidelines are pretty straightforward. Yet, following them will go a long way toward rewarding, successful relationships. Dot your i’s and cross your t’s. Planning a contest can be fun, but because marketers are subject to numerous state and federal laws, there are many aspects that need careful consideration. Be sure to check with your legal team when drafting contest language, especially rules and regulations, to ensure that all guidelines are being followed. Don’t forget to secure permission from the winners to use their names and likenesses – and any other elements from the contest entries – that you may want to use in the future. Know your goals. Consider the entry method when coordinating an online contest. When determining the structure of the contest, it’s important to first take a look at your goals. If the overall goal is to increase traffic to the site or spur sales, an easy entry and sweepstakes format may be best. On the other hand, asking for a tip or written essay will encourage engagement and could provide you with valuable insight and communications information. Offer excitement-worthy prizes. It goes without saying that a great prize will generate excitement about the contest and the brand. Keep the value of the prize relative to the amount of effort needed to enter the contest. For example, a video contest that requires time, energy and creative skills should offer a larger prize than a sweepstakes. To offer an added incentive for entrants, offer a gift card or other monetary prize. Also, many people love to see their names publicized, so plan to post the winners’ names – and get extra attention by distributing media materials announcing the winners. Incorporate the contest into other brand elements to get the word out. Use all of the tools at your disposal – from websites and consumer newsletters to press releases and social media channels to publicize the contest. Finding a way for entrants to share information about the contest through Facebook, Twitter and e-mail is a great way to build excitement and increase the number of entries. Last but not least, blogs are an effective way to spread the word – and on that note, check out the Eureka AirSpeed “Make the Switch” contest, now through Friday! Online contests can be a great way to set your brand and product apart from the pack. Just make it fun and cover all of your bases! This month, we are celebrating our 25th anniversary. We were founded in November 1985 by Lou Williams, who set out to provide the strategic thinking and capabilities of a large agency with the personal approach and dedication of a smaller firm. I am happy to say that mission is still intact at LCWA. During the past 25 years, the public relations agency landscape has changed dramatically because of mergers and acquisition. We are proud to have stayed independent, so that we can continue to be flexible and provide excellent service to our clients. Many of today's clients have been with us for more than a decade — and our roster still includes our very first client. This quarter of a century also has brought remarkable change in how we communicate as people and professionals. Who would have guessed, back in the days of mail merges and typewriters, that social media would be such a big part of our lives just 25 years later? LCWA has come a long way, and despite the obvious technological changes, the heart of what we do remains the same. Our team remains truly dedicated and invested in the companies we work with, from the newest clients to those that have been with us since the beginning. And our focus on providing excellent client service will remain, no matter what changes are in store for the next 25 years!